Glossier, a company that has never successfully marketed makeup to me (but give it time), is now a unicorn. “What is a unicorn?” I asked Gizmodo staffer Tom McKay, just now. “Well, Rebecca, it’s when two companies love each other very much and want to merge with a third, horny company,” he said. Actually, it’s when a company is valued at more than $1 billion. I Googled it! I am very gullible. According to Bloomberg, Glossier is now valued at $1.2 billion, thanks to a $100 million fund infusion courtesy of VC firm Sequoia Capital. Michael Abramson, a partner at Sequoia, said the firm was impressed with Glossier’s direct-to-consumer marketing techniques, which took the company from a beauty blog to a ubiquitous makeup and skincare bastion seemingly poised to turn even Sephora to dust. “This is one of the most efficient direct-to-consumer businesses we’ve encountered, and with this new capital, we believe Glossier is well positioned to define the next era of the beauty industry,” Abramson told Bloomberg in a statement. 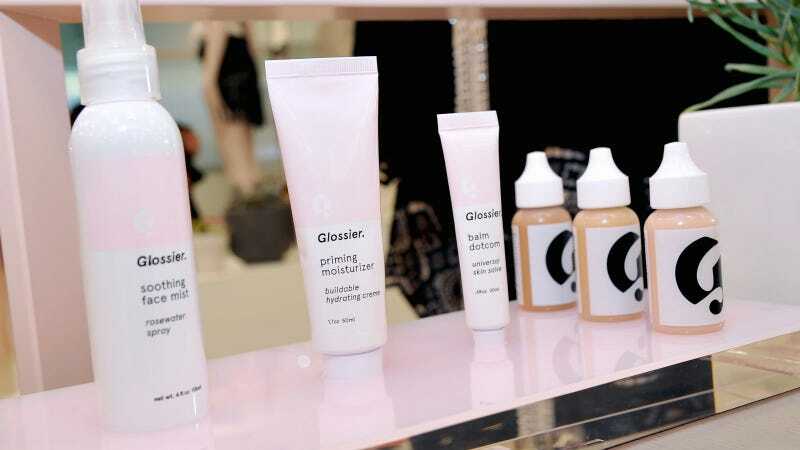 In addition to its online store, Glossier has storefronts in New York and Los Angeles. They also plan to open a few more temporary locations elsewhere in the country, all of which will probably sell too many face milks that I may or may not spend all my money on, TBD.